For decades, astrophysicists have known about the concept of the static orbit. Now, a German team of researchers has discovered the possibility of static orbits being present on certain types of black holes and other celestial bodies. Astrophysicists just provided a new understanding of how rotating celestial bodies, like boson stars, affect the surrounding spacetime and the emergence of a “static orbit”. Geodesy is a very ancient science that helped us to study the shape of the Earth and measure its dimensions, including its gravitational field. Through Earth’s geodesics, scientists can measure the position and the movement of points on the surface. Einstein included geodesics in his General Relativity equations to calculate the curvature in spacetime by celestial bodies. Then, over the ensuing decades, with the development of space technologies, astronomers used geodesy principles to study orbits and measure the gravitational field of spacetime with high precision. Geodesics analysis became a staple study in gravitational research and helped confirm some of the predictions of General Relativity like the curvatures of spacetime and their link to gravity. It’s thanks to the geodesics of stars and their orbits that astronomers can provide sound evidence of the existence of Sgr A*, the supermassive black hole in the center of our galaxy. Astrophysicists now understand how orbital patterns around “ordinary” black holes like Sgr A* work. 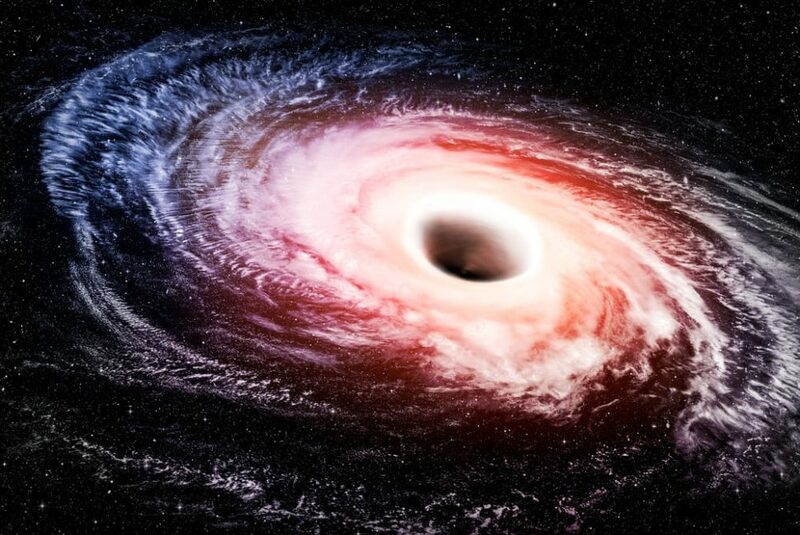 However, there are types of black holes and other hypothetical rotating objects that we cannot understand — especially the way they affect the spacetime around them. Now, a team of three physicists – Lucas G. Collodel, Burkhard Kleihaus, and Jutta Kunz from the University of Oldenburg, Germany – suggest that some astrophysical bodies can force a “static orbit” in their rotating spacetime. Some compact rotating astrophysical objects drag the surrounding spacetime to rotate along with them. As the spacetime tags along rotating, a ring is created around its center where particles are locked into static orbit. According to physicists, not all rotating celestial objects support the emergence of this phenomenon. They think a “static orbit” would be found around boson stars, hairy black holes, and wormholes. The team rules out the possibility of observing still particles around rotating objects. However, they do think they can infer the existence of static orbits based on what happens in the spacetime surrounding them. Researchers published their findings in the journal Physical Review Letters. Do you think studying the presence of a static orbit could help us understand other aspects of the makeup of our Universe?